Whether you’d like to become a full member or volunteer to talk to your coworkers about the importance of having the freedom to negotiate with your employer, please contact your local! Teamsters Local 97 can be reached by phone a (732) 381-1090 or by email at [email protected]. Today, the U.S. Supreme Court sided with anti-union advocates attempting to undercut the rights of millions of public employees to negotiate with their employers for a fair return on the value of their work. The Janus vs. AFSCME case is an attempt by organizations that have spent tens of millions of dollars to eliminate the ability of public employees to have the freedom to negotiate with their employer over benefits, wages, working conditions, and other issues. In states where similar laws have been put in place, wages and health benefits fall while poverty and workplace fatalities rise. This very real danger not only impacts public employees but entire families in communities across America. The American middle class was built by working people like public employees who joined together in union. You have the power to ensure that the United States maintains a middle class for future generations by standing together as union members. Click to see how Teamster members are responding to the recent Supreme Court decision. In states where laws were passed to limit the ability of public employees joining in union to demand better wages, benefits and working conditions, the results have hurt working people and their families. 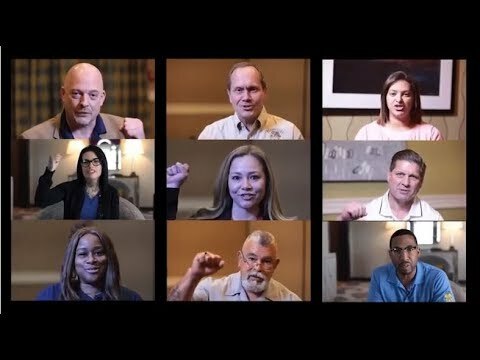 Watch Teamster members and leaders share their opinions on the Janus case. Contact Your Local and Get Involved!